The Canadian government recently made amendments to the Hazardous Products Regulations (HPR) under the Hazardous Products Act. 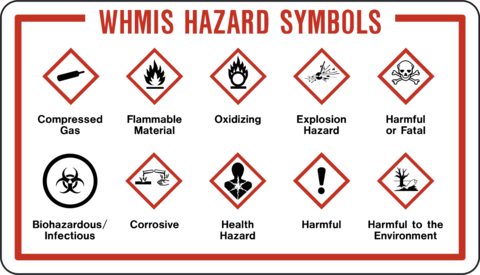 The objective of the recent amendment of the HPR is to provide industry with the option to use prescribed concentration ranges to protect the actual chemical ingredient concentrations or concentration ranges on Safety data sheets (SDSs) for hazardous workplace products in Canada rather than submitting CBI applications under the Hazardous Materials Information Review Act (HMIRA). SDSs, which accompany hazardous products sold or imported for use in Canadian workplaces, must disclose the concentrations or concentration ranges of the ingredients in a product that present health hazards in accordance with the Hazardous Products Regulations (HPR). This information could be considered confidential business information (CBI) to industry. CBI for workplace hazardous products can be protected by filing an application with Health Canada under the (HMIRA) and paying the associated fee. Regulated parties proposed that they should have a means to protect the concentrations or concentration ranges of ingredients without having the burden and cost of the HMIRA application process. Health Canada is responsible for the administration and enforcement of the Hazardous Products Act (HPA) and its regulations. The purpose of the HPA is to protect the health and safety of Canadians by regulating the sale and import of hazardous products for use in the workplace. Are New United States Regulations Coming for Accidental Releases into Air?